Coastal Style…is always in fashion! 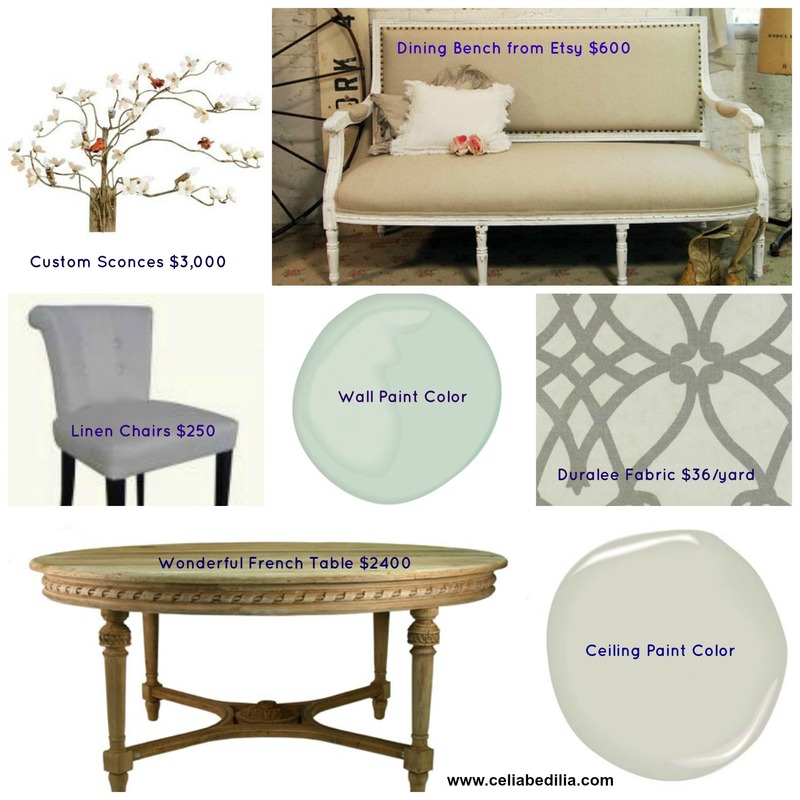 The French country look is not going out of style anytime soon. When I am asked if I think this trend is going to last, I tell them it is not a trend.The French country aesthetic has been around longer than America has, so I think this design influence is here to stay! I adore the relaxed, worn look associated with homes in the countryside of France. We lovers of antiques revel in the patina of an old copper pot, or the worm-holes in a wooden table. We respect the history of the vintage finds, available at the Paris Flea Market. I love the wide pine boards on my kitchen table, it has seen over 100 years of family gatherings and is ready for 100 more! French country-style appeals to me because it is not intimidating, it is comforting. I have put together a couple of dining rooms with this style in mind. The first includes a dining bench; with a round table…I know crazy right? It actually works! It can be placed under a window as comfortable seating and can be pulled up to the table for additional guests. This allows one to use the dining room for reading the paper with your morning coffee, not just as a formal dining space. The second look has a French wine country feel. I love the wine bottle light from Etsy. The table has wonderful legs, and the chairs adds a cool factor when done in aged leather. I hope you have enjoyed this post! I am off to Florida for a much-needed vacation. My two co-workers will be keeping Celia Bedilia going in my absence. I will be back to posting in 10 days or so! I hope you enjoyed this post. Let me know by liking it, commenting, or better yet sign up to follow our blog! I really do enjoy french country design. Lovely post, Celia. 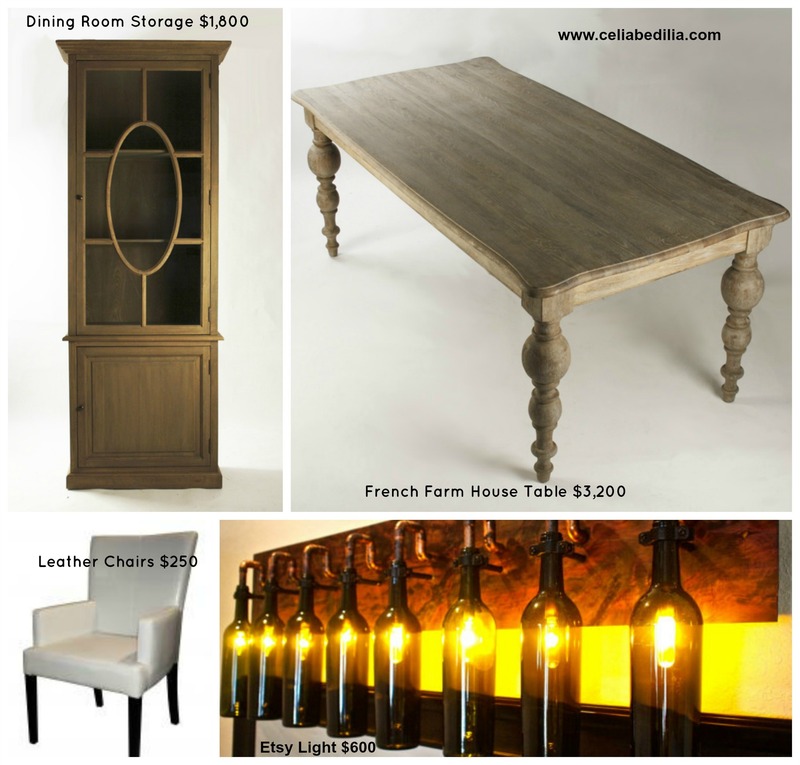 Thank you for featuring our blog post on dining areas!